DVTI offers its customers the ability to transition innovative product improvements from idea to proof-of-concept and execute the solution in a production environment. With its team of researchers and engineers continuously engaged in the future needs of our customers, DVTI can provide integrated engineering and product development services for coating-enhanced components and devices. Using its state of the art production coating facility, DVTI delivers production-ready coating development services and coating application services to its customers. To develop and apply the next generation of advanced coatings. DVTI is utilizing Directed Vapor Deposition (DVD), an advanced approach for vapor depositing high quality coatings. This process is capable of depositing thin or thick films with highly controlled compositions and architectures onto line-of-sight and non-line-of-sight (NLOS) regions of complex components. 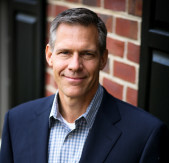 As President and Chief Executive Officer, Harry A. Burns, has over thirty years experience as a senior executive in industry. 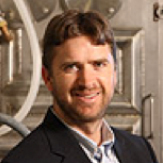 He has served as CEO of an international manufacturing company with revenues in excess of $500 million and is experienced with the start up of new technology spin-off companies and the commercialization of new technologies. Dr. Derek Hass received a B.Sc. in Metallurgical Engineering from Michigan Technological University in 1993. A M.S. degree was received from the University of Virginia in 1996 and a Ph. D. degree in 2001. From 2001-2002 he was employed as a research scientist in the Intelligent Processing of Materials Laboratory at the University of Virginia. 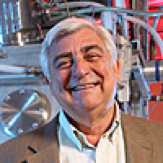 His research interests include the development of a novel electron beam-directed vapor deposition (EB-DVD) technique. He is also involved in the development of combinatorial synthesis techniques using DVD. Dr Hass is currently the P.I. on multiple government research contracts for DVTI, has published 9 papers and is an inventor on 6 pending patents. Mr. Maurer joins DVTI with over 20 years of executive management experience at HDT Global, a defense equipment company, with greater than $500M in sales annually. Throughout his career, he has managed several functional areas of business including, Operations, Marketing and Sales, Engineering, Corporate Development as well as overall general management with P&L responsibility. Dr. Balvinder Gogia has more than 15 years of industry and research experience in the fields of thin film deposition and nanotechnology. She has an extensive background with technology maturation and process development for superconducting metal and ceramic films and nanomaterials. While employed by the National Institute of Materials and Chemical Research (Tsukuba, Japan), Dr. Gogia developed an innovative method for the synthesis of carbon nanotubes by laser ablation of undoped and doped silicon-carbide. She has managed several process development efforts, including an improved sputtering deposition process for Multilayer Thin Film Coatings used to enhance the quality of superconducting tapes. She earned her B.S. and M.S. in Physics from Panjab University (Chandigarh, India) and Ph.D. in Physics and Material Science from the Indian Institute of Technology. Her research interests include development of thin film coating processes for commercial applications. 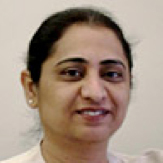 She has published more than 35 research papers in international journals. Dr. Gogia leads several technology development teams in non-line-of-sight coating and superconducting films at DVTI. Using its state of the art production coating facility, Directed Vapor Technologies delivers production-ready coating development and coating application services. We're able to transition innovative product improvements from idea to proof-of-concept and execute the solution in a production environment.